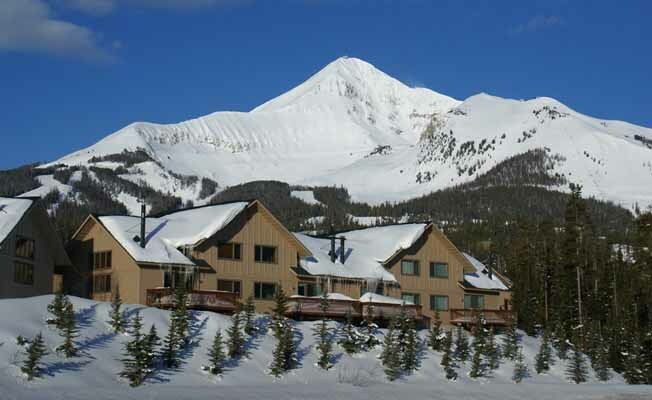 Make our ski-in/ski-out townhouse condo your home base as you experience the best Mother Nature has to offer in Big Sky Montana. Our goal is to provide our guests with a true home-away-from-home experience. We strive to make you as happy to come back to the condo at the end of the day as you were while you were skiing or rafting, hiking or biking, or doing any of the other countless outdoor activities that Southwest Montana has to offer. Big Sky is centrally located between historic Bozeman and West Yellowstone making ours the perfect location if you want to spend most of your time enjoying the outdoors of Big Sky, but also want to spend a day or two seeing the geysers and fumaroles or visiting the Museum of the Rockies and doing some shopping down Main Street. Then come back to Big Sky for skiing or dog sledding or mountain biking or fly fishing or whitewater rafting or golf. There is also horseback riding, wildlife viewing (the Gallatin National Forest is just down the mountain), zipline, paintball, tennis, ATV riding, snowmobiling, snow shoeing and more and more... Our highly rated home-away-from-home is located in the Big Sky Resort Mountain Village with unobstructed views of Lake Lavinsky and the Cascade mountains. Our front door is about 100 steps from the Bear Back Poma lift which is a short ride to the bottom of the Silver Knife ski run and the base area. In less than 10 minutes, you could go from the living room to sitting on the Swift Current high speed quad on your way to enjoying over 5500 skiable acres. When you return back to our place after a day spent in the Montana outdoors, you won't be at a loss for something to do. For starters, the living room has a 46" HDTV (with actual HD programming), a Bluray home theater & streaming Netflix movies. Every bedroom also has its own HDTV & DVD player. All rooms have HD DirecTV with HBO, Showtime, Starz, Cinemax, The Movie Channel, Encore and the Sports Pack. If you're concerned you might miss your favorite TV shows, just have one of the DVRs record them for you. If you took tons of pictures, have fun editing them on our computer with Photoshop Elements then send them to your friends back home. If video is more to your liking, get a head start on your production with Premiere Elements. Don't forget to bring your laptop and connect to our free Wi-Fi. We also provide a selection of board games and magazines or you can settle down in front of the fireplace reading a book and enjoying the mountain views. The upstairs master bedroom is decorated in an Indian theme and has a queen bed, a queen sofa sleeper, a 32" HDTV and views of Lone Peak. There is also a Playstation 3 to keep the kids occupied. The PS3 can stream Netflix, too. The downstairs bedroom is decorated in a fisherman's theme and has a queen bed, a 32" HDTV and fantastic unobstructed views of the lake and mountains. The living room and upstairs guest bedroom offer the same views. The guest bedroom is decorated in a hunter's theme and has two twin beds and a 26" HDTV. The living room, decorated in a western skiing theme, also has a queen sofa bed. Our kitchen is fully equipped and our washer, dryer and hot water heaters (we have two) are large capacity (a feature you'll appreciate if your group is on the big side). Some of the extras we provide include firewood, boot dryers, Internet, computer & printer. Linens are included as well as bath soap, shampoo, lotion, foil, laundry detergent, dish and dishwasher detergent, toilet paper and tissues.